Enlighten materials is the dealer of the Miicraft Ultra 125 3D printer. All the materials provided by Enlighten Materials were developed on the Miicraft Ultra 125 3D printer platform. 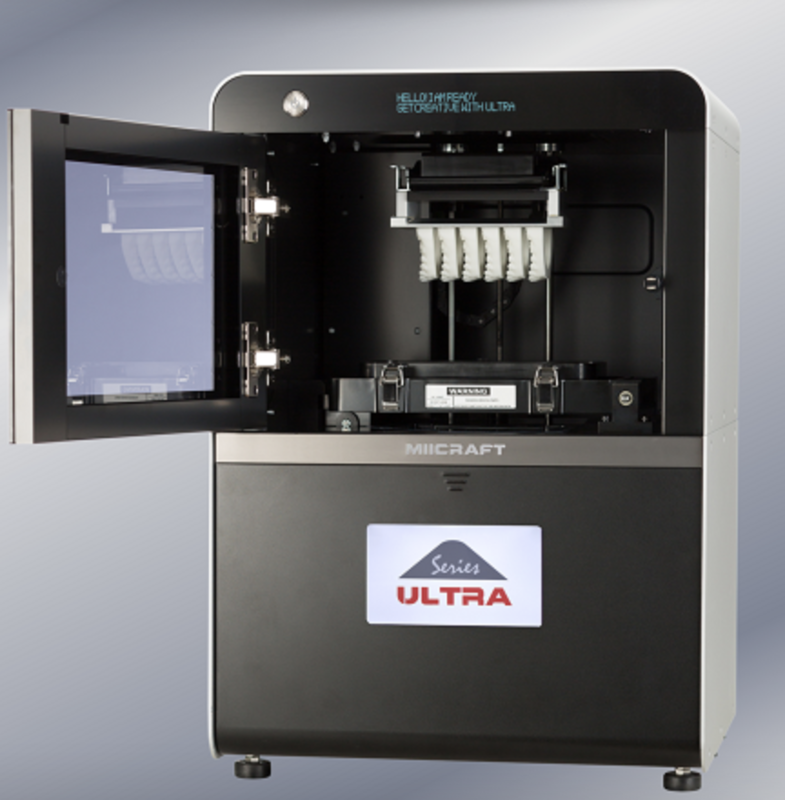 MiiCraft Ultra 125 3D printer enables high resolution and accurate printing without sacrificing productivity and quality. With its large build platform, it gives the printing enthusiast the ability to print more models in one single printing session or one single high resolution model. MiiCraft Ultra 125 printer is capable building models up to 150*84mm @ 78um or 57*32mm @30um with minimum thickness per layer at 5um. This makes the MiiCraft Ultra 125 printer ideal for jewelry industry, dental industry and micro structure applications. 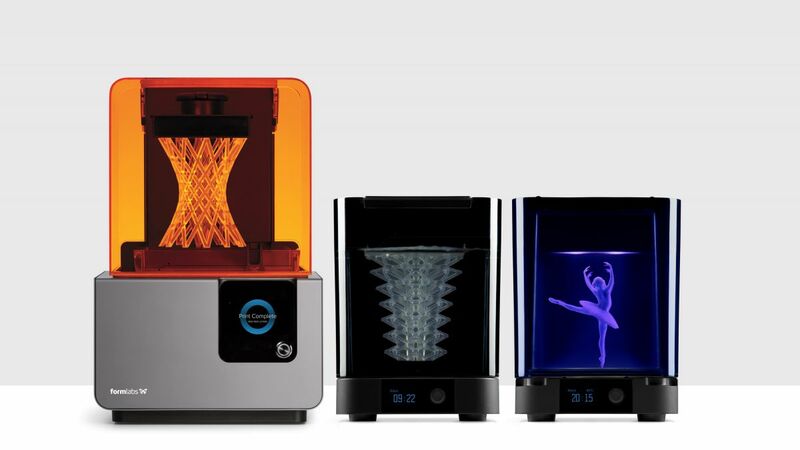 Enlighten materials is the dealer of the Formlabs products. Many materials provided by Enlighten Materials can also compatible with Form 2. Form 2 is one of the most popular 3D printers in the world. It was widely used in many dental clinics and laboratories. Form Wash and Form Cure provide a complete post-processing solution. They make the post-processing procedures smooth and painless.